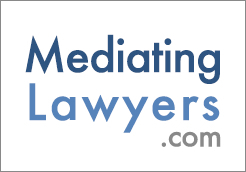 So You Require An Attorney Mediator? The real question should be, what are you looking to accomplish in your mediation session? Many of the mediators that I meet in my practice have never attended law school. I would not hesitate for one moment to engage them in the most complicated set of facts in a mediation environment. If you are seeking to engage an attorney-mediator to provide legal advice to help you or your client to better understand the legal issues involved, then so be it, However, don’t call it mediation. Perhaps you require the attorney-mediator to inform opposing counsel of the legal issues? Using the mediation structure to accomplish these goals is not in the best interests of your client or to achieving a mediated agreement. In fact this is not true mediation. Mediation is the participants’ perceptions of the issues. Mediators are not present to give their legal opinion or advice, as this would be in violation of the very intent of what mediation is all about. This article is not meant to demean the attorney-mediator. The mediators with whom I come in contact, who are also attorneys, are extraordinarily qualified and skilled as mediators, with extensive mediation experience and training. Mediation is an acquired skill, and like most artistic endeavors, takes years to hone to perfection. Litigants who believe that an attorney mediator is automatically superior to a non lawyer mediator are making a serious error about to the true purpose of the mediation process. Mediation is like having dinner at my home, relaxing, and the guests speaking to each other. I believe most experienced mediators will heartily agree that it may take hours for the parties to disclose their real emotions. Then, and only then, do we enter the most critical phase of the mediation process. If a survey were sent to every practicing attorney, he/she would confide in you that they are perfectly capable of conducting a mediation session. And they would be correct to some degree in almost every instance. However, the experienced mediator is aware that the process has to proceed through many stages. The training that attorneys go through to reach the level of competency necessary to practice in their field does not prepare them to be “PEACE MAKERS”. The very training they receive is to be adversaries in negotiations and in the courtroom. This is counter productive to the mediation process where their sole role is “Peacemaker”. The same way that selection of an expert witness or competent counsel is crucial to the outcome of a case, so is the selection of the mediator in resolving the issues between the parties. So prior to hastily deciding that an attorney-mediator is the correct way to proceed, seek a mediator with proper mediation credentials to assist in resolving the issues in dispute.